Home Entertainment Deadman Wonderland Season 2: Manga Series To Premiere in 2019? 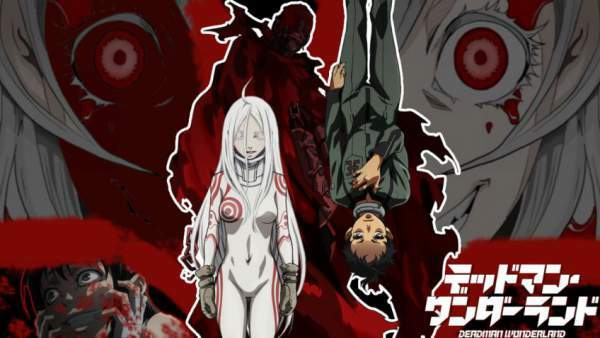 Deadman Wonderland Season 2 Release Date: Deadman Wonderland season 1 was a hit anime show which left the immense feeling for season 2 to be out soon inside the fans behind it after its completion. DeadmanWonderland is an epic thriller anime series based on Japanese horror manga of the same name. DW S1 was aired first on 17 April 2011 on Chiba TV and TV Kanagawa and was later aired on Funimation and Adult Swim in the US. This amazing Japanese comic was penned down by Jinsei Kataoka and illustrated by Kazuma Kondou. The first season was packed with 12 episodes showing us the story of first 14 chapter of Anime. The season was aired between April 17, 2011, to July 3, 2011, in Japan. The series earned a good 7.5 IMDb rating. DW has an interesting plot revolving around the main lead role Ganta Igarashi. According to its sci-fi plot, almost 70% of Japan sunk into the water due to a deadly earthquake. 10 years later Ganta was charged with killing all his classmates of Nagano prefecture’s Middle School. But, in reality, a strange red man covered with blood killed all the students except Ganta. Later Ganta was found guilty and was sent to DW prison. The prison had a strange ritual about survival that one has to play dangerous games. Ganta wants to find that Redman to prove his innocence so he survived. In the middle of all this, Ganta learned to manipulate his own blood and finally becomes prison’s Deadman. He later found out that prison authorities are hiding some dark secrets from the world. Many reports are rumoring about Deadman season 2 to premiere in April 2019. However, no official comment from Manglobe Inc. (the company which produces anime series) has been made. If installment 2 happens, it would be exciting to see how Ganta will find the red man and prove his innocence. If one has read the anime series, they would’ve noticed that there are many plot holes and major characters missed from the show which plays important roles. there were 3 main characters who were not shown in the series. In chapter 2 Ganta met a girl named Azami Mido who helps him to know everything about prison and how and why he need to earn points to buy food. In chapter 8, a transgender character named Masaru “Chaplin” Sukegawa was introduced. He had a very heart touching story which fans would have loved if told. Chapter 8 also introduced a fun watching one-eyed man named Idaki Hitara. If these characters would have included, season 1 could be more interesting to watch or maybe writers would have thought to introduce them in season 2 which doesn’t seem to happen right now. Check: Days of Our Lives spoilers. Ganta Igarashi: Protagonist sentenced to death and sent to DW. He is in search of a Wretched Egg known as Red Man in the series. Shiro: A mysterious albino girl who Ganta mistakenly identifies as his dead friend, Mimi. She has inhuman physical abilities. Rinichiro Hagire: Antagonist and the creator of DW. He used to be a doctor at a Medical center experimenting on humans. The production studio Manglobe is under a massive debt of 350 million Yen. It went bankrupt in September 2015. So, you shouldn’t hope for a sequel until and unless some miracle happens. Keep visiting TheReporterTimes for latest TV series’ news and entertainment updates around the world. Feel free to air your thoughts with us in the commenting section below.